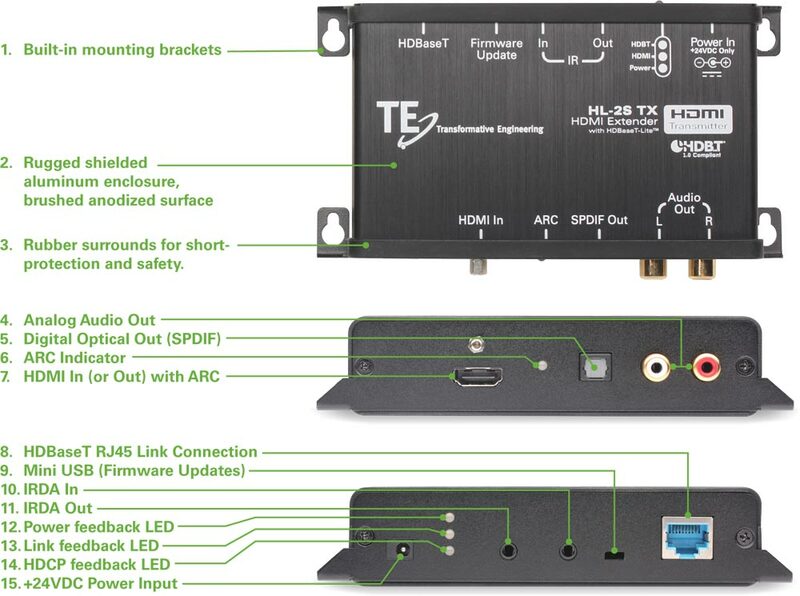 For those requiring a robust HDMI Extender without all the full functions and features of our Flagship Product, but wishing for the highly requested Audio Return Channel feature, we introduce the HL-2S. 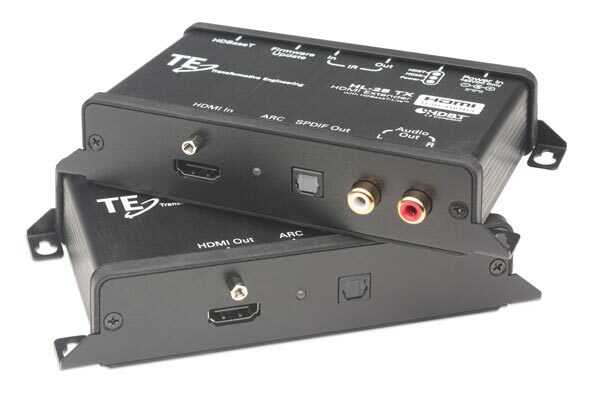 Utilizing the version of HDBase-T known as “Class B”, the HL-2S offers HDMI extension at 1080P up 70 Meters or UHD4K up to 40m, along with Bi- Directional IR; all over a single CAT6 UTP cable. We continue with our tradition of a Single 24V Power Supply, NOW injected at either the Transmitter side OR the Receiver side. With nearly all new televisions including “Smart TV” functions, it’s more imortant than ever to have a cost effective solution to carry the TV’s digital audio to a capable surround sound receiver. In addition to Audio Return Channel, the HL-2S offers an Optical Digital pathway as an alternative to ARC.